The Pixma IP 4000 printer produces high quality photos very fast. It is comaptible with PictBridge and FINE technologies. The printing and level of performances will meet all your expectations. It is a multi purpose device, and the double paper tray has a 300-sheet autonomy. The integrated back to back system allows you to print excellent quality photos. 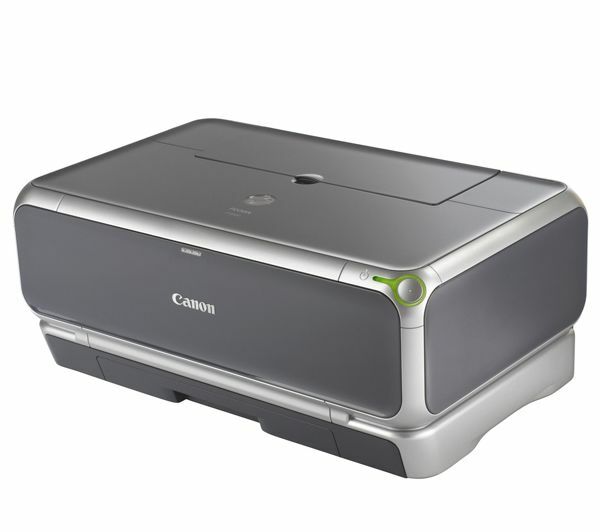 Stylish, compact and offering outstanding value for money, the Canon PIXMA MP110 prints, scans and copies. The Get PIXMA MP110 links easily to any computer with its USB cable, great All-In-One versatility at your fingertips with this affordable Multifunctional. Thanks to Fine technology and appropriate resolution, PIXMA MP110 will meet all your demands and needs. Also the design and ease of use make this printer a must-have device. CANON PIXMA IP3000 comes with a new revolutionnary design and forefront technologies. The printing speed is very high thanks to the FINE technology, ensuring to provide you with perfect photo quality (borderless), the automatic back to back module eanbles you to create superb photo albums. Moreover, the PIXMA IP3000 printer writes on CD/DVD supports and benefits from direct printing function. Also, the cost per page is being reduced thanks to the Canon « Single Ink » concept; whihc consists in separate ink compartmens. The PIXMA IP3000 will meet all needs when it comes to both Office and Photo applications. USB cable not included. Canon, a leader in photographic and imaging technology, today announces the futuristic-looking Pixma IP5000  the PIXMA personal photo printer that awards Canon two industry firsts: an astonishing 1-picolitre droplet size and 9600 x 2400 dpi resolution. The clean lines and lustrous jet black shell of the IP5000 make a clear departure from traditional 'beige box' design, reflecting the growing importance of 'look and feel' in consumer products. The 25 ppm Pixma IP5000 plugs directly into most contemporary digital cameras and digital video cameras via a PictBridge port for direct photo printing. The Canon IP5000 model is available as of October 2004. PictureMate made by Epson is very compact and comes with a carry handle, it is very easy of use thanks to a user-friendly interface, and the print cost per page is very low. The Epson PictureMate reads all existing card formats. A Bluetooth connector allows the receiving of images via mobile phone integrating digital cameras (optional) and print directly. This will soon become the must-have accessory of your digital camera to carry wherever you like.